If you own an Android TV Box then you have probably heard of Kodi. 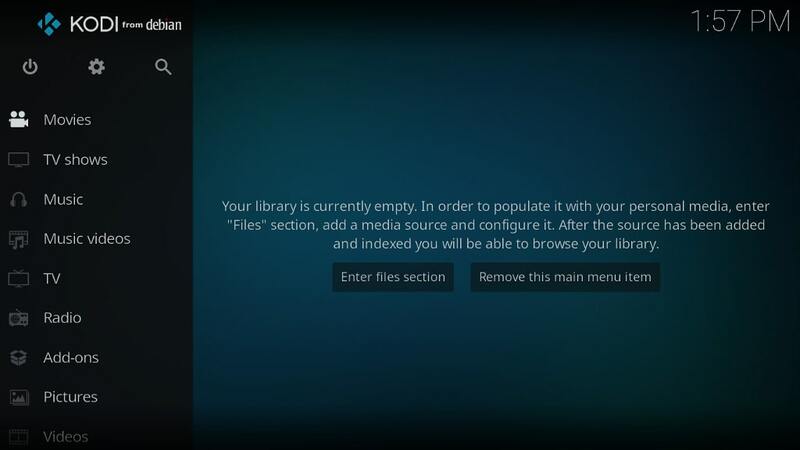 Just in case you haven’t, Kodi is an open source media player formerly known as XBMC (Xbox Media Center). It is maintained and developed by the XBMC foundation. The player is primarily written in Python and C++ and it is pretty extensible. It is the extensible part that has dogged the Kodi team in recent years. Like open source projects such as WordPress, the Kodi media player can be extended using various plugins. Most plugins are quite useful and sensible. For example, the Google Drive plugin allows you the user to access the media files such as Pictures and Videos that are stored in your Google Drive cloud account. Other add-ons allow you to change the skin, download lyrics well as automatically download subtitles. All this is perfectly legal. In that regard, Kodi is very much like VLC on steroids. No one in their right mind would be tempted to think that VLC is illegal for it is a tool much like a hammer. These days however you will hear a lot of Kodi bashing in the media. In fact, the adjective illegal often accompanies the Kodi brand. Now that is just ignorance. Until around 2015 torrents were all the rage. Pirates trafficked in torrents and torrent sites such as the very resilient Pirate Bay were at the front of the pirate movement. Pirates like the local Jack Sparrow, who was never unmasked by the way, relied heavily on downloading torrents to quench their thirst for entertainment. Copyright holders were apoplectic with rage when file sharing started becoming mainstream. They went after creators of the file sharing app Napster and Torrent sites. They pressured advertisers to pull their ads from these sites. The result was that torrent sites had to make do with dodgy ads. To gain mileage copyright holders quickly pointed out that these sites were now unsafe and that torrents were not easy to use unless you were a fairly technical person. Torrents versus Netflix was a fight the former lost easily amongst ordinary users. Now global internet speeds have improved especially in developed countries making streaming a viable option. Some pioneers unleashed Popcorn Time, the Netflix of torrents onto the world scene. Now everyone even soccer moms could be pirates. Copyright holders tried to snuff it but the streaming piracy battle had begun. Another frontier in the battle between copyright holders and pirates. Pirates quickly discovered they could create and sell illegal Kodi plugins that can for example scrap torrent sites and stream illegal content. Plugins such as Exodus cropped up and while providers of these plugins hide behind flimsy disclaimers such as “we are providing this software for educational purposes” here is a fact: these plugins are clearly illegal and against the law of pretty much any country. The nonsense about laws differing in each country on these websites is just that nonsense. Kodi is a perfectly legal app but these addons are illegal in Zimbabwe as in any country. They are illegal even in North Korea which like any country has a Copyright Act. I dare you to find me a country were it is legal to stream copyrighted works. If you find an app/plugin that allows you to stream all the latest T.V shows and movies for free then that app is most certainly illegal. Creating movies and T.V shows costs a lot of money. Besides the actors who obviously have to be paid for their effort and hard work there is the crew, the location owners, marketing agents etc. It would make zero sense for studios to give away their work for free. To reiterate Kodi is perfectly legal, it is not a virus as some copyright holders will have you believe. It will not make your T.V box catch fire or burn your house down. However all Kodi addons that allow you to stream the latest T.V shows and movies for free are illegal. There is no doubt about that. thank you but too much info. stop snitching and let us stream in peace.